Scribblenauts is People's Exhibit No. 1 for giving a game a great name. It's a unique word, hinting strongly at the quirky adventures you'll have. 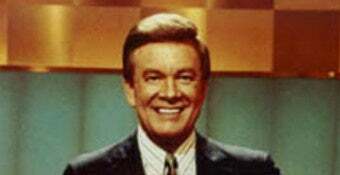 Good thing, too, because the original name sounded like something Wink Martindale would host. "Wordplay" was the first title, according to the 5th Cell creative director Jeremiah Slaczka. Yeesh. Slazcka himself called it "really lame and not fun and very generic … We've always gone through a lot of names before we kinda settle on a final name. Scribblenauts was also actually a temp name, which is kind of funny that it actually stuck. Because in the beginning, we were just like, well we need something, we always need something for a pitch and what's the project name. So we were like, "Well, this is quirky and interesting, but maybe not completely what we want to go for." But it just stuck. It made sense. And it wasn't generic at all." Well here's a toast to temp names. Don't think there's much argument that "Scribblenauts" serves this game far more than something like "Wordplay."